Right now over at Walmart.com you can score this Little Tikes Sizzle and Serve Grill for just $15.13 (Retail $24.99)! 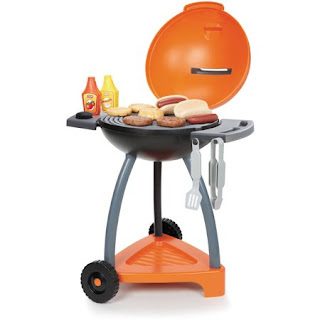 This play grill set features built-in wheels so kids can easily move it from spot to spot. It has an easy-open lid with handle and includes 12 fun grilling accessories like tongs, burgers, condiments and more.